"How many players can I field in GW29?" and "How can I get as many players as possible for GW31?" are probably the two main questions going through every FPL manager's mind in the past couple of days. Deservedly so, as these are the GWs that will most probably decide many mini leagues and your final ranking. If you are wondering, I will look to field at least 7-8 players in GW29 and at least 6 DGW players in GW31. All my transfers will definitely be leading up to that. But before that, there is a little thing called GW29 that we need to take care of. My #CalledIt pick from many GWs ago, Wilfried Bony, has finally started returning what I have been expecting when I drafted him. A brace last week against Liverpool was a reminder of what he is capable of and I am really happy to have him in my team for this GW. For sure, he might be tired from the mid-week game and a bit deflated at the same time, but he should score more goals - that is what he does, right? At 5,3% ownership, he is just out of #CalledIt league, but if you have him, he could even be considered captain material. While the majority of the discussion this week (differential wise) has been concentrated around Robert Snodgrass and Thomas Ince, I decided to look elsewhere for my pick. Don't get me wrong, I believe both might be very good transfers for your team this week (on the basis of both not having a blank GW), yet I somehow believe that AVL just might keep a clean sheet and that Jason Puncheon might potentially outscore Ince in this one. My #CalledIt pick this week is going against a very friendly Newcastle defence that conceded 10 goals in their last three losses and will be without the services of Fabrizio Coloccini for this one. On top of that he managed to score three goals in their last three games. 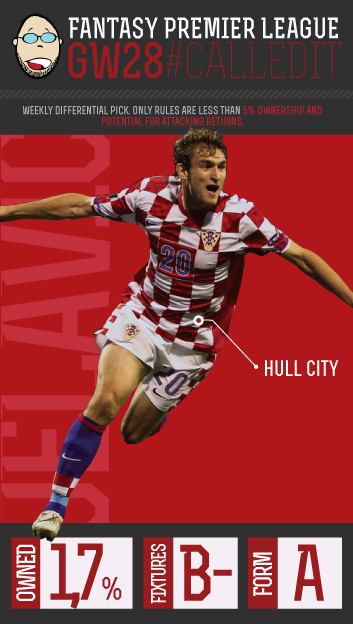 Nikica Jelavić, #CalledIt pick for GW28. I zabij barem jedan gol, Nikica! Well, although his strike partner upstaged him quite dramatically last week. Shane Long came through with an assist to keep a decent run of #JackInTheBox picks alive. With these weekly picks, I am finding it harder and harder to come up with any surprises. I am lucky to have many Twitter friends who quite often nail their predictions on the very first try, and I am extremely grateful that people are interested enough in the weekly pick from the bottom 8 to participate and play along. It has become something that I really look forward to. This week, 2 of the bottom 8 sides have blanks; so the "six-pointer to be" that was the Sunderland-West Brom fixture will have to wait to another gameweek. That leaves only 6 sides to choose from (sound familiar, #FPL'ers;)) Other than the tough fixtures of Fulham (even though it's a hotly contested derby, I'm not going to venture a shout on a Fulham player vs. Chelsea) and Stoke, we have some juicy stuff going on as Aston Villa and Norwich face off against each other at Villa Park while both Cardiff and Crystal Palace come up against tired sides coming off of Thursday's Europa fixtures. Cardiff will visit a tired Tottenham side who are facing off against Dnipro as I type, while Palace travel to a weary Swansea side just knocked out of the Europa League by Rafa Benitez and his Napoli squad. I don't know how the Tottenham match is going to end up (only 16th minute right now), but the Bluebirds have really been struggling lately, so I'm going to avoid Cardiff this week. Heck, I'm just gonna throw it out there. I have the feeling that Swansea have had the wind knocked out of them and could drag their knuckles through the foreseeable future. It happened last year and the ingredients seem to be mixing together pretty well for a similar situation to occur this year. They've frankly been disappointing this year, and the knock-down, drag-out affair that had them concede twice late to see their Europa dreams dashed is sure to weigh heavily when a well-rested Crystal Palace come to town, bringing with them the speedy and dangerous Ince. To be honest, this is somewhat of a punt for me. I've heard so much about him but only was able to see him play for the first time against Manchester United this past weekend. His play was less than stellar during the portions of the game that I got to watch (I still have flashbacks of the open volley he roofed from inside the penalty area), but I could see the promise and what the hype is all about. Ince will be leaned on in the coming weeks as Palace attempt to pick themselves up off of the EPL goal-scoring floor (they have netted only 18 times in league competition this season) and he could be exactly what they need over the next 11 fixtures to secure their spot in the league next year. Ultimately, in addition to his vast promise, it is my belief about Swansea, combined with an upcoming double gameweek, that is causing me to strongly consider pulling Ince into my #FPL squad instead of Snodgrass, and best of all, the possibility of having someone as both my #JackInTheBox selection and a member of my #FPL squad at the same time is just too darn juicy to pass up. Note: After Eriksen's strong performance yesterday in Europa, at the time this article is being published, I have not yet decided whether to bring Ince in for Eriksen or to give Eriksen one more chance. Yay, I'm glad that's over! But the GW hasn't started? What am I on about you may ask? Team selection... That's right, it was an absolute headache this week! The amount of permutations and potential outcomes that I had to process was simply mind boggling. My two transfers had to take GW28 and GW29 into account, which effectively left me with a pool of players from the bottom half of the table. I ended up buying two players facing teams in the top 4. I decided to sell Silva as he has been rubbish of late. Y. Toure has constantly outdone him and besides City have a blank this GW as a result of the League Cup final. I decided to buy Lallana as he has been fantastic this season. Lallana creates goals, as well as scores them. The England call up was merited and he will be looking to secure a squad place at this summer's World Cup by continuing his fine form. He is facing a Liverpool team that has a logic of "you may score, but we will outscore you". I will be shocked if the match ends in a 0-0 draw, considering that Liverpool are looking to bag a Champions League spot. I don't think it's too much to expect J-Rod, Lallana and S-A-S to bag a significant number of points between them in this juicy fixture. As for my other transfer, I was looking at the likes of Snodgrass and Ince as viable options, but the Canaries and Eagles barely score when playing away. But with FPL being at the business end of the season, I wanted to be different. I wanted to choose a Super Differential (i.e. a talented player owned by less than 1% of FPL gamers). Lewis Holtby (at 0.3%) fits the bill. Some of you may be thinking why him? After all Fulham are playing a Chelsea team that has plenty of form and clean sheets in their locker. But Chelsea played away on Wednesday in Turkey with their de facto first-team defensive line up. They will be knackered and are contesting a London Derby match on Saturday. Fulham are scoring at least a goal a game on average in the PL (5 in the last 3). Can you honestly see Fulham not scoring? They also have a new German manager at the helm with amazing pedigree who will inspire Holtby to come good. I first heard of Holtby in 2010 and I'm surprised he is playing for an English team stuck in the relegation mire. But when push comes to shove, players of a top calibre raise their games. It's time for him to do so and I think he just might perform on Saturday even if Fulham lose. 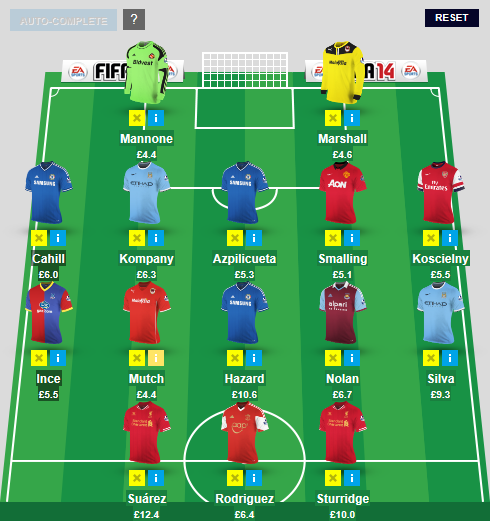 I have been stung badly by picking Suarez as my captain for the past two GWs. With the blog's slogan in mind, "form is key, class doesn't matter!" I have decided to give the armband to Sturridge. He has been on form through out the season and will be looking to add to his tally at St Mary's. 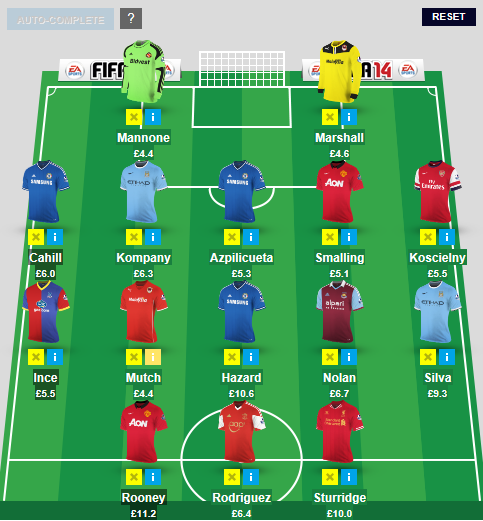 On a side note, I still have my all-season wildcard at hand and may use it in DGW31. In addition, I am competing in Dugout's Champions League and topping my group - wish me luck! He hasn't scored a goal outside of London since August 2013. Crystal Palace have only scored 5 goals in 12 away PL games this season. They may park the bus and opt to secure a goalless draw against Swansea. Managed an assist in Arsenal's last PL game. Arsenal have scored two goals a game on average when playing away. Cazorla's form may be indifferent of late, but he is due a few more goals and assists. Cardiff have conceded two goals a game on average when playing away. Spurs will be looking to immediately bounce back following their defeat against Norwich. EVERTON & WEST HAM TO DRAW (1-1). CHELSEA TO BEAT FULHAM (1-0). HULL & NEWCASTLE TO DRAW (1-1). ARSENAL TO BEAT STOKE (2-1). LIVERPOOL TO BEAT SOUTHAMPTON (2-1). ASTON VILLA & NORWICH TO DRAW (1-1). SWANSEA TO BEAT CRYSTAL PALACE (1-0). TOTTENHAM TO BEAT CARDIFF (2-0). West Ham roar back with 3 and, are ya ready, secure 10th place! Well, there's your gameweek summarized in a jiffy. Now get back to those spreadsheets, formulas, graphs, and stats; gameweek 28 will be here before you know it, and we all know that the next few gameweeks are going to set the tone for the business end of the season and the double gameweeks on the horizon. 11 more juicy gameweeks - there's still a way to go everyone. One thing we can all be sure of; there will be unanticipated events in the whacky world of FPL that will have us re-evaluating and indeed changing our strategies, BUT.... having said that, having a plan that can be modified to react to these unforeseen events is of utmost importance. As we approach the business end of the season, failing to plan means planning to fail. Don't let Ultimate FPL divert your attention - get out there and grab the absolute highest year-end ranking you can. And have a freakin' blast while you're doing it. Chief, Matej, Fly and I will be right here with you all the way to the end. Hi folks, I have to admit that I didn't think too much about the truncated Gameweeks ahead until now. 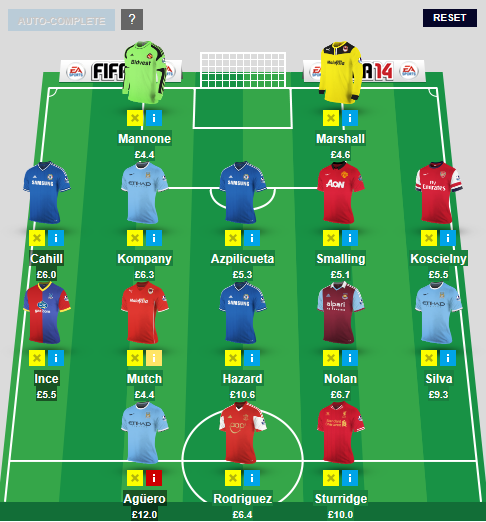 The only transfer I intended on making for this GW was to bring in Adebayor for J-Rod. Unfortunately, I left the transfer too late and got short changed by £0.1M. Such is life. I hope Adebayor blanks on Sunday! In some ways I am glad that I didn't make the transfer as my defence looks very weak for this GW. 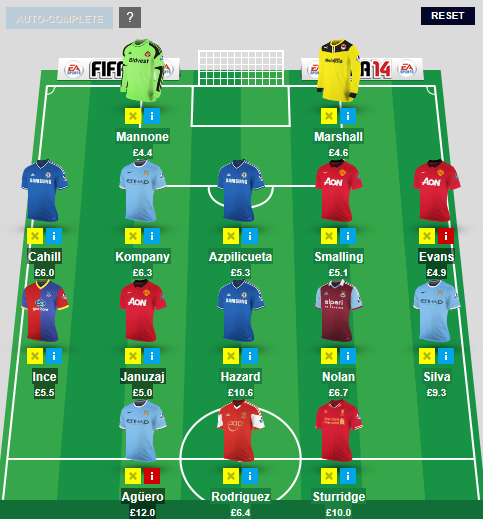 As a result, I decided to bring in a defender from a team that isn't affected by the truncated Gameweeks. This only left me with Chelsea as a viable option. Fortunately, Azpilicueta is value for money at £5.4M and his next 3 fixtures EVERTON, fulham, TOTTENHAM aren't too bad. All 3 matches are due to be held in the capital and could yield at least 2 clean sheets, especially with JT back. I had an array of captain options to pick from. But I decided to buck my philosophy on form and give the armband to Suarez rather than Sturridge. The Uruguayan may not have scored recently, but he will be looking to make up for it against a Swansea team that were involved in a testing mid-week Euro encounter. In terms of truncated GW planning, I would encourage you to read Fly's article on the matter. Having 2 free transfers for Gameweek 28 is imperative and then investing in players who are also likely to play in Gameweek 29. Please note; GW29 may truncate further if Hull win their FAC replay. Right. The gloves are off. The longest drought of the season has come and IT MUST GO the heck away. If this was a regular differentials article for FPL, I would have recommended the likes of David Silva, Paulihno, Coutinho (he has a goal and two assists in last four matches) and Cazorla this week. But, as Chief always says "Form is key.". Therefore, I have decided to go with a guy who has 2 goals and 1 assist in the last three games. A player who has come back from a looooong injury and is eager to prove himself in the star-studded midfield. 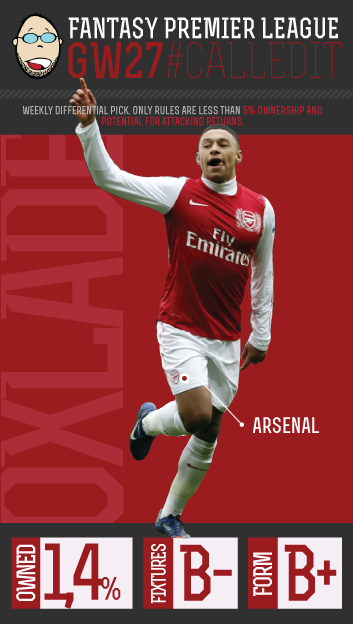 With my GW27 #CalledIt pick, I have decided to go with Alex Oxlade-Chamberlain. NOW, if you have the guts, a one week differential (apart from obvious Silva, who I really hope will explode this GW) could also be Samir Nasri. But, as said, they both have two blanks after this GW. P.S. You think you could pick a better #CalledIt pick? You will get your chance. Follow my timeline at @CalledIt for details. How Do You Solve A Problem Like...The Next Few Gameweeks? 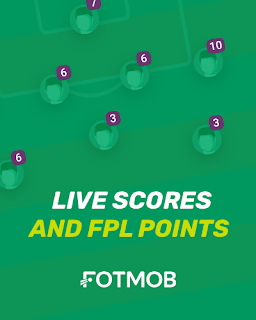 It's the hot topic of the moment, and some extremely useful articles are out there in the FPL community on Twitter about this very subject. I'm not going to rehack and steal their work, I'm going to put a personal spin on what I personally am intending to do about it. The nature of the beast is that our post-January Wildcard teams are all now extremely similar so hopefully some of my thoughts will be relevant to you and your team. So, where do we stand? The recent bad weather in the UK, along with Cup replays and Cup Finals mean the fixture list has been devastated. GW27 will be the last time for a while we will see a "normal" programme of 10 fixtures. After that GW28 delivers only 8 and GW29 only 6 (possibly only 5 dependant on the result of Hull City's FA Cup replay). After that we see a return to normality in GW30 before the DGW's start to come into effect from GW31 onwards. Most forward planning managers have looked ahead already to see how many of their current squad they can field in GW28 and 29. It makes for grim reading for a lot of people. For me, this is all about forward planning, not panicking and not taking too many points hits. If you can make it through to GW30 relatively unscathed you will be in with a good shout to finish the season strongly. "If you can avoid it, DO NOT use your FT for GW27"
If you have 2 FT's up your sleeve, go ahead and fill your boots. If you can field 11 players for GW27 then do not make any unnecessary transfers and ensure you have 2 in your pocket for GW28. That's my intent anyway. So, who am I fielding tomorrow? 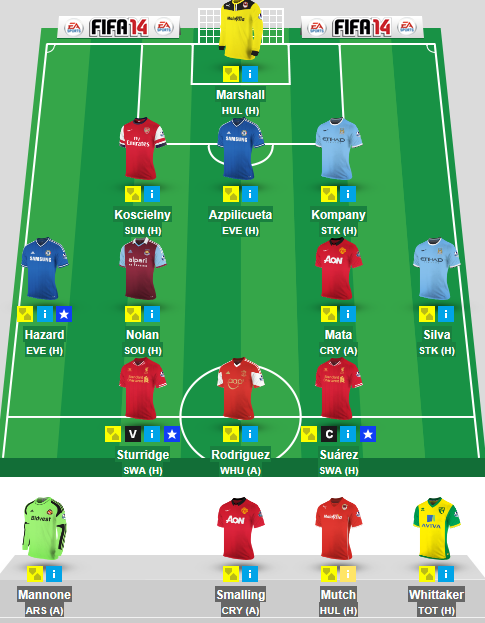 Mannone/Kompany/Smalling/Mata/Silva (plus Whittaker who is a cheap bench sub who plays very infrequently). I intend to transfer OUT Whittaker and Mata, and (at the time of writing) I will bring IN Cahill and Ince. Everyone else gets a game (hopefully!!) with no points hit taken. Moving on to the carnage that is GW29. This needs thought. With the actions already taken I will be able to field only 9 players (potentially 8 if the Hull City v West Ham game is cancelled meaning Nolan misses out). In itself, not the end of the world. But I have the "SAS" and BOTH will miss out, leaving me only J-Rod upfront. Ideally, I would like another striker. Therefore, I intend to use my 1 FT to...wait for it...TAKE SUAREZ OUT!!! I don't have the time to go into the whys and wherefores of this decision, suffice to say I have not taken it lightly, and I will bring him back in before Liverpool's DGW's. GW30 sees a return to normality, but now is the time to consider the DGW coming up in GW31 and trying to accommodate a handful of players who will be playing twice. "Plan for the DGW in GW31"
This is why I have NOT dumped any of my Man City players. They play twice in GW31. 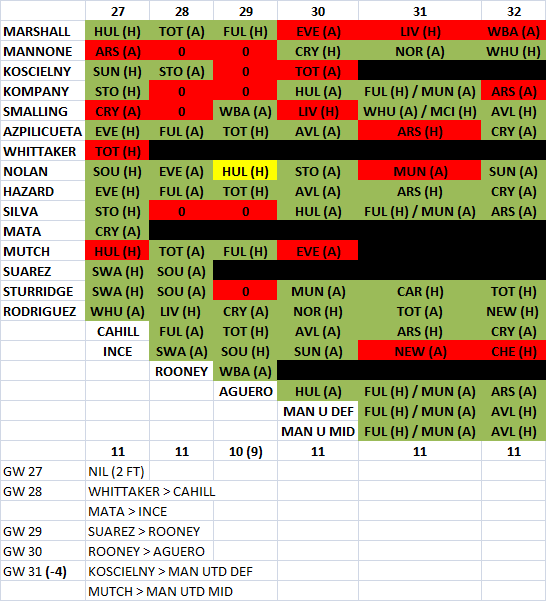 Most City players are rotation risks, but I judge Kompany and Silva to be UNLIKELY to be rotated. But back to GW30. I intend to use my 1 FT to transfer OUT Rooney (one week wonder!) and bring IN Aguero in preparation for GW31, presuming he is fit and playing again. Man City play Hull City away, Man Utd play Liverpool at home. I'm judging that Aguero will out-score Rooney. Onto GW31, and the first of a fair few DGW's. So what do you need to do? Field as many players who will play twice as you can manage? That's my plan anyway. It doesn't always pay off. But seeing as the teams playing DGW's are the two Manchester clubs, it might work. It's a gamble. "Field at least 3 Manchester players (Utd or City) in GW31"
So, who have I got to play in the DGW? Well, first you need to see my transfer plan. This will be (hopefully) the only time in the next few GW's I take a points hit. And even then it will be -4 and no more. I am jostling for OVERALL position in this years FPL competition. I believe that if you strive for that, mini-leagues take care of themselves. My current ranking is Top 5k and I intend to be Top 2k by the end of the season. I've taken a few points hits recently. Some have paid off, others haven't. At the top, starting a GW off with minus points can hurtle you down the overall ranking by hundreds or thousands of positions. It's that tight. My intent is to transfer OUT Koscielny and Mutch (if he hasn't gone already in GW29) and bring IN a Man Utd defender and a Man Utd midfielder. Much will depend on funds, but at present I'm looking at Evans and Januzaj as possibles. The formers fitness and the latters game time will be the deciding factor. I could possibly get rid of Nolan in order to afford Mata, if he is on a run of form. This allows me to field 6 players who will be involved in the DGW, hopefully with minimum risk of rotation: Smalling, Evans, Januzaj, Kompany, Silva and Aguero. "Keep calm, don't panic, plan ahead & don't take too many points hits"
If you absolutely must take points hits to get you through the next few weeks, think about "Risk vs Reward". I almost never take a hit for a defender. I'd rather they didn't play and score 0 than take a -4 and rely on a clean sheet or a goal that might not materialise. If you are going to take points hits, please DO NOT take more than a -8. Ever. Under any circumstances. Of course, if you've kept your powder dry and have still got your original Wildcard, then you are one of the lucky ones. But I'd advise using it for when all the rescheduled fixtures are announced and take advantage then. Another underwhelming FlyBuy pick for GW26 saw me tip Stoke City defender Ryan Shawcross to be amongst the points. He wasn't. a miserly 2 appearance points picked up in the 1-1 draw at Swansea was hardly the return I needed. Especially as the previous week's pick (Fabio Borini) was pulled early from the game as the sacrificial lamb when Wes Brown got sent off. Inevitably. But, let's not dwell on failure - let's focus on the next success. I am confident that this week's pick will bring home the bacon. A tasty away fixture means I believe he could be in the points. Possibly a clean sheet; maybe even a goal. Well, that implies I'm going for ANOTHER defender right? Right. But this guy is a class act, not even in the same league as Shawcross. Well he is in the same league. Obviously. But they are miles apart in terms of ability. He was out injured between GW15 and GW23, and during that 9 game period his team only kept 2 clean sheets. Since his return in GW24? 2 clean sheets in 3 games. So that should indicate what his loss meant during that time. Last season he scored 5 and made 3 assists, this year (disappointingly) he has scored 0 and assisted only 1. But that means he's long overdue a goal, and away to Norwich this weekend could be that time. I am referring of course to Tottenham Hotspur's Belgian centre-half, Jan Vertonghen. Currently owned by 4% of all FPL managers, but pricy at £6.9m he may be an unaffordable luxury in your squad, but with Spurs not set to miss out on any games in the upcoming weeks, he could be worth serious consideration. Well, Gameweek 26 was forgettable from a #JackInTheBox point of view. Wilfried Zaha was shared by Matej and I as both his #CalledIt pick and my #JackInTheBox pick and he came up empty. He was subbed in the 60th minute, just in time to keep his extra "clean sheet point" during what on paper looks like a snoozefest of a 0-0 draw with Aston Villa. So we'll put those 3 pts in our pockets, shrug our shoulders, and move on. With all of the uproar in the #FPL world over the fixture upheaval coming in Gameweeks 28 and 29 and the associated frenzy of FPL managers scratching their heads over how to field a complete squad through the danger zone, although it's been inherently necessary to consider it in your planning, it's also almost been easy to forget that there's actually going to be a Gameweek 27 first. Let's spend a few minutes giving this poor, neglected gameweek some attention. The bottom 8 stays the same this week with one exception; West Ham moves out of the #JackInTheBox zone, thanks to a 2-0 spanking put on Norwich, while Hull become eligible once again after their defeat to Southampton last week. 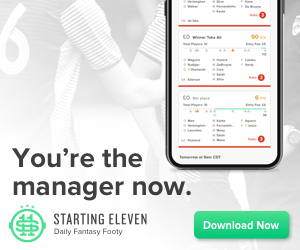 Fixture-wise, there are two juicy fixtures pitting bottom 8 sides against one another; with West Brom hosting Fulham and Cardiff City hosting Hull. Given the Looney-Tunes atmosphere currently making Fulham supporters embarrassed over at Craven Cottage, I do not feel comfortable taking a gamble on a squad that could possibly be tinkered with by a new manager. Facing their first post-Rene test away from home will actually be a blessing in disguise, but I'm turning my attention to the other "six-pointer", where Vincent Tan knows millions of people will be snickering and sneering at him (and Holy Crap, rightfully so) as his red-shirted Bluebirds host the Hull City Tigers. Yes, a few of you accurately predicted my pick on the boards today, and for that, I salute you. I just can't shake him as the obvious pick though. Having not had a chance to see Ince play, knowing that Zaha is off limits due to being picked last week, and Holtby being part of that unpredictable Fulham side, I feel comfortable giving Long the coveted armband, as he has proven dangerous recently and has been exhibiting good form. There's a goal on his foot at any moment, and although I will be fielding Marshall in the net this week with my fantasy squad, Long is screaming out at me as the man of the hour. Despite Marshall's 11-point haul last gameweek, the loss of Medel to a tear will undoubtedly put more pressure on the Cardiff back line and I expect Hull's reinforced strikeforce to apply pressure, with Long continuing to be the primary danger man. Happy Gameweek27 everyone; and GOOD LUCK!! Check back after the gameweek ends for my Gameweek Review article, and please don't forget to check out Chief's #HotPick/Punt/Reject article, Matej's #CalledIt post and Fly's #FlyBuy pick. Unlikely to score, assist or keep a clean sheet against City. Stoke have only kept 2 away clean sheets in 13 PL games this season. Facing a City team that has scored 3.5 goals per game on average at home. Norwich have conceded more than a goal a game when playing at home. Spurs aren't far off a CL spot & will be looking to exploit Norwich's recent woes. Despite having a blank v Fulham he has been on form this season. Facing an unstable Swansea that have let in more than a goal per game on average away. May not have scored since GW23 but logic dictates he will score sooner rather than later. CHELSEA TO BEAT EVERTON (2-1). ARSENAL TO BEAT SUNDERLAND (2-0). CARDIFF TO BEAT HULL (1-0). MAN CITY TO BEAT STOKE (3-0). WEST BROM TO BEAT FULHAM (1-0). WEST HAM & SOUTHAMPTON TO DRAW (1-1). MAN UNITED TO BEAT CRYSTAL PALACE (2-1). LIVERPOOL TO BEAT SWANSEA (3-0). NEWCASTLE TO BEAT ASTON VILLA (2-1). TOTTENHAM TO BEAT NORWICH (2-0). CARDIFF'S GOALIE MARSHALS THEM TO A CLEAN SHEET DRAW V VILLA. HULL HOME HIPE CONTINUES TO WANE WITH FONTE RE-WRITING SCRIPT. HAMMERS STUNNING FORM CONTINUES WITH NOBLE WIN OVER CANARIES. CHELSEA AREN'T THE VICTORS AFTER LAST GASP ANICHEBE EQUALISER. ARSENAL & UNITED TOO AFRAID TO LOSE & PLAY OUT A NO SCORE DRAW. PARDEW'S PAIN CONTINUES AS FOUR STAR SPURS SMASH TOON AT ST JAMES'. CHICO TIMES HIS FIRST PL GOAL TO PERFECTION WITH SWANS NICKING A DRAW. LIVERPOOL SHOW THEIR TITLE PROWESS WITH STUNNING WIN IN WEST LONDON. NO ONE WANTS TO WIN THE TITLE & NO ONE WANTS TO AVOID RELEGATION! UK WEATHER IS BARMY AS GAMES AT ETIHAD & GOODISON ARE POSTPONED.